Orphaned young, William is taken in by a company of actors in Elizabethan London. Since women are forbidden on stage, William plays the girl parts. But now he's growing out of being able to play those roles... and growing into something less professional (and more romantic) with his co-star, Jack. But, just like Lysander says in Shakespeare's "A Midsummer Night's Dream,"
Because to complicate matters with Jack, William has to deal with the return of a sister who needs him, and the mysterious (and intriguing) son of Lord Evering, the company's patron. Thanks to Erastes for the recommendation! 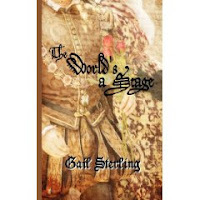 Add your review of "The World's A Stage" in comments!